You used to call the non-profits who have spent millions to support you succeed “partners”, and now you call them “advertisers”. Nice attempt to make it sound like these were simply commercial transactions. You make it sound like selling names to the radical right is a grand vision for ‘empowerment’”. Since when is suppressing the rights of women, ‘empowerment’? That’s not a grand vision for good. That’s a grand vision for greed. It’s genius, but let’s be clear. It’s not change. It’s just doubling-down on conflict—clickable, lucrative, conflict-mongering—and calling it a business model. Isn’t selling opt- ins (a user opts in with an email addresses when they sign a petition) to anti-women or anti-gay organizations a corrupt act no matter how you sugar coat it? With a very liberal base of users on your sight. Your claim that you’ve simply grown too big to devote the necessary time to check out each petition is a betrayal of your origin, which was based on making this a voice for the voiceless, for those who couldn’t make themselves heard elsewhere over the money. What’s changed ? You seem to have eliminated change in favor of more of the usual. You may not think that you’re selling out, but at you’ve made a Faustian deal. Kamayani Bali Mahabal, April 23 2013 , Kracktivism l 23, 2013, Kractivism “Every day, Change.org members win people-powered campaigns for social change”.Just to give a background to those, who are reading about change.org for first time. It’s a popular and fast-growing website for petitions. 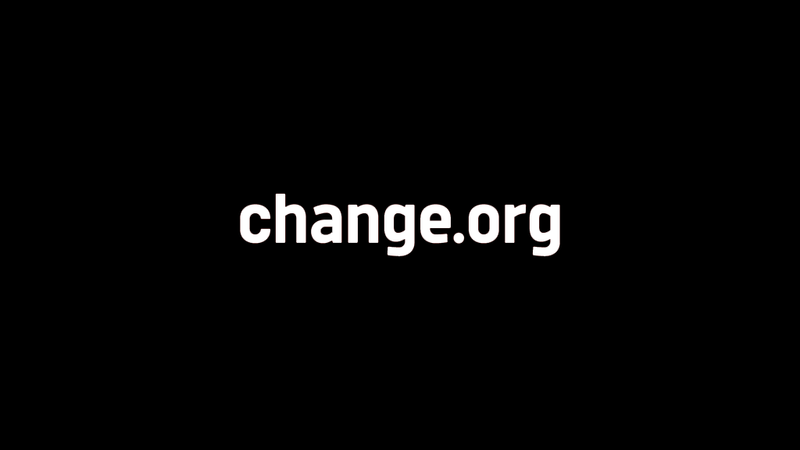 In the last two years, Change.org has grown from 1 million to more than 25 million users, according to the site . It began as a liberal blogging site and then pivoted to become a hub for petitions, mostly with a liberal or populist bent.Staring as dot.org domain name to its declaration that “our business is social good” to its certification as a B Corporation, Change.org positioned itself as a progressive force. It promised to run campaigns for “organizations fighting for the public good and the common values we hold dear—fairness, equality, and justice.” That’s no longer its mission. Something changed last year, The policy changed, ‘ partners’ became ‘advertisers ‘in the name openness, democracy and empowerment . So which means now they will accept paid promotions from conservative organizations, Corporations , that no bar. 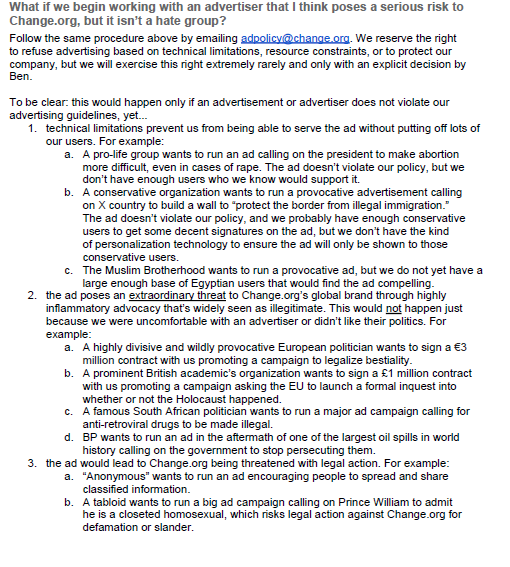 I had written Open letter to CEO Ben Rattray last year in which I said I will not participate but monitor change.org.So here is an expose of monitoring campaigns of change.org in India In India we have two petitions being hosted on change.org, one by victims and one by perpetrators ? 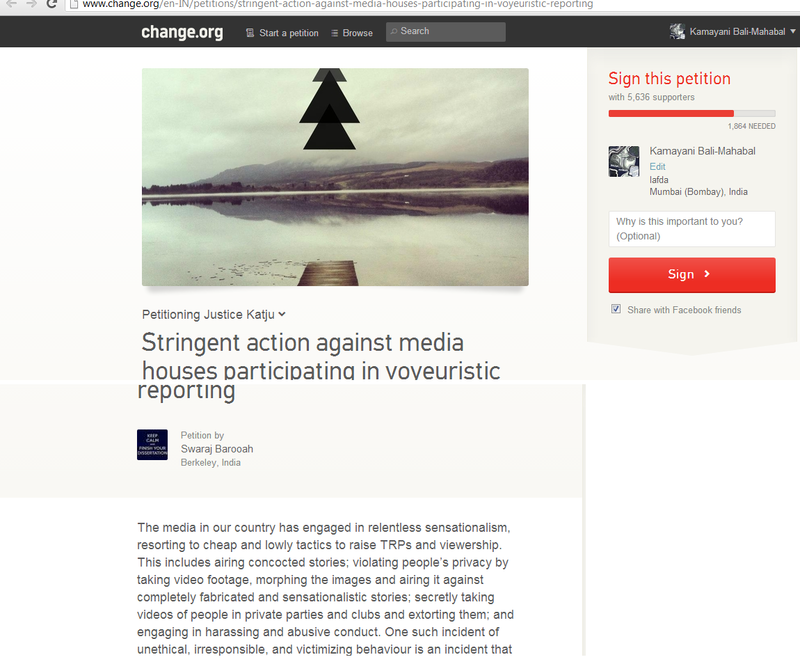 Now after my expose.#India – Change.org : Campaign Victory’s exposed #Vaw #Socialmedia, wherein I bought to notice two conflicting petitions on the same platform. I did get a reply on a tumblr.com site ??? Wondering why change .org could not the responses reply on an official change.org site? Also the tumblr.com site with no option to comment , My question,to India director, change.org Avijit Michael, that by replying to me, on another change/org staffs personal blog , with no option to comment, this how change.org proposes to have a public engagement ? A Jewish schoolboy from South Africa has posted a photo, and message of support, for Palestinians living in Gaza – highlighting a rift in the country’s Jewish community.